Kelley was born into a family with horses in England. By the age of 5, she had won a blue ribbon in a field of 143 at the Royal Windsor Show. The family moved to Canada to operate a polo facility, where Kelley broadened her skills and deepened her love for horses. She has been in Puerto Rico since 1996, where she experienced a breakthrough to thoroughbreds and a lasting love affair with the breed began. Employed by Hacienda Siesta Alegre, she galloped, broke and cared for the horses being groomed for a racing career on island. In 2010, alongside Greg and Linda Jackson of HSA, she started the OTTB rehoming program for the PR racetrack, Save The Horses, Inc. This program has since been responsible for placing over 100 Thoroughbreds into new homes in PR and the mainland. In 2012, Kelley moved on to develop her own business for equine physical therapy, Equi Blu Therapies, while continuing to help with Thoroughbred adoptions. In 2016, like-minded and uniquely qualified individuals working to rehome Caribbean OTTBs, united under the newly formed non-profit corporation, Caribbean Thoroughbred Aftercare, Inc.
All along, Kelley remained active in the competition world, resulting in a 2013/2014 PR NBHA barrel-racing championship win for her own horses, Lotus and Yashira. Kelley presently is married with two children, Mackenzie, 19 and Tyler, 10, living at the base of the El Yunque Rainforest on her 5-acre farm. She works at Camarero Racetrack in the mornings helping horses with her therapies and keeping an eye on them all. In the afternoon, Kelley is operations manager for a small marine shipping company. We’re not sure when Kelley sleeps :-). Immortal Wink (2006 FL-bred Gelding 142-starts & Shelley in Florida following his retirement. Shelley came to a desire to help horses in a late and serendipitous manner. She lives in Wellington, Florida (deemed “The Winter Equestrian Capital of the World”) and learned to ride as an adult. Through a variety of people she met, she became interested in thoroughbred racing and set about to learn about the sport. 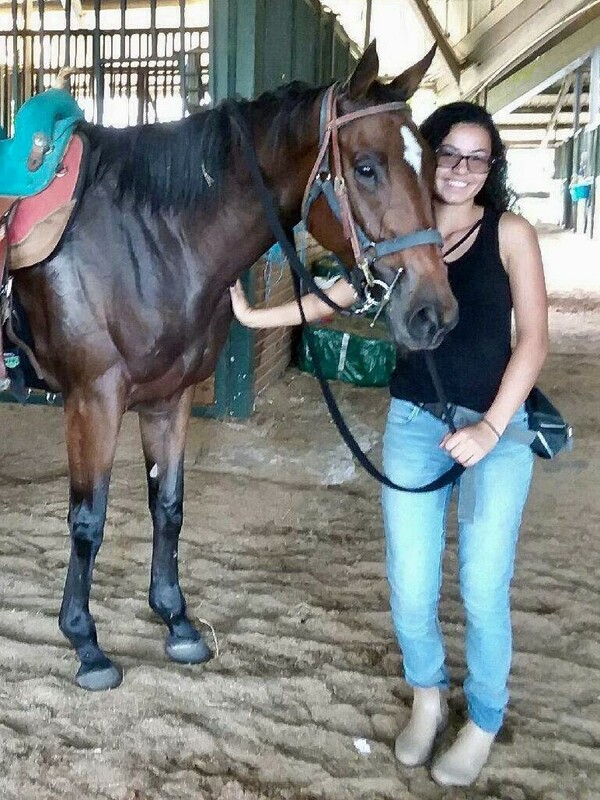 In 2016, armed with a committed curiosity and family support, Shelley set her aim to help an aging TB racing in Puerto Rico. The 2006 Florida-bred gelding Immortal Wink was entered in his 139th race. Shelley enlisted the help of his co-breeder, Kathy Von Gerhard, and with a team effort that included Kelley Stobie of PR, they were able to raise the necessary funds to transport Immortal Wink to Florida. The fortunate ex-racer will spend his remaining years as a retiree with the Thoroughbred Retirement Foundation’s “Second Chances” herd. After that success, she and Kelley worked to help a few more horses with the aid of others in the TB industry stateside, and made the decision to form Caribbean Thoroughbred Aftercare Inc, which took over the fledgling Save The Horses (which by that time had been all but at a standstill). Shelley presently lives in Wellington, FL with her husband, William (“Win”) and young daughter, a budding equestrian. She has a doctorate in clinical psychology and is a licensed clinical psychologist with specialized post-doctoral training in geriatric mental health and cognition. She worked at Nova Southeastern University (NSU) from March 2000 to December 2016 in both the College of Psychology and the Health Professions Division Department of Geriatric Medicine. Additionally, Shelley has engaged in community outreach and education, developed intra-professional team programs and support groups, written and managed many grants, conducted clinical research and published articles in academic journals. She finds that her academic knowledge and skills sets (e.g., team-work & collaboration, developing problem-focused solutions, communication, writing, data management) have helped her immensely in her aftercare work. She “prematurely retired” to focus on family while pursuing her interest in Thoroughbred rescue and aftercare. 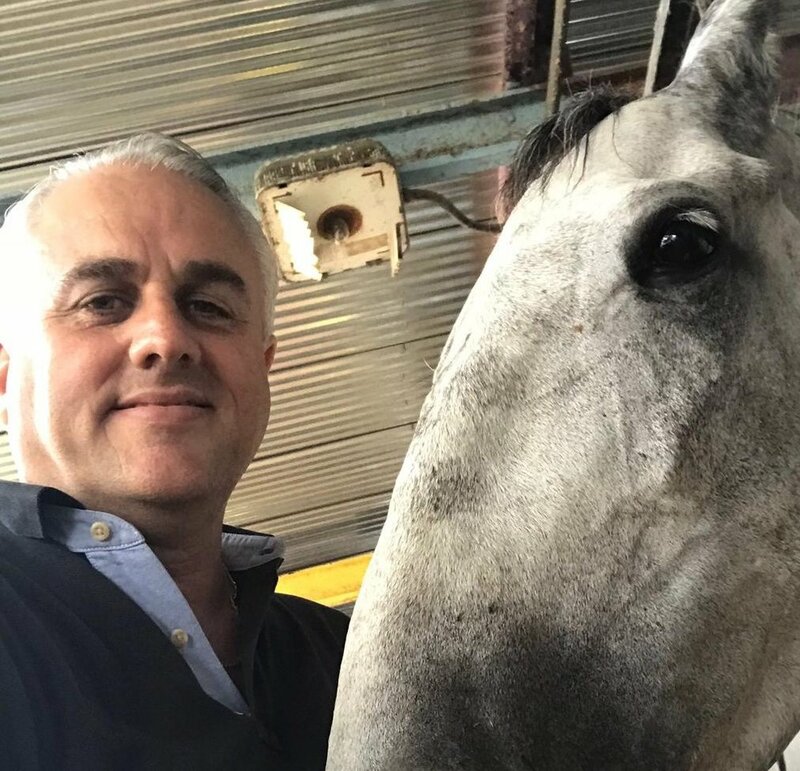 Roberto’s passion for Thoroughbred horses is inherited. As a child, his father and grandfather, both horse owners, took him frequently to the race track in Puerto Rico. Since then, he has been deeply immersed in the sport. Roberto has been a horse owner since 1999. Born in San Juan, Puerto Rico. Admitted to bar in Puerto Rico, the United States District Court for the District of Puerto Rico, the United States Court of Appeals for the First Circuit, and in the Supreme Court of the United States. EDUCATION/EXPERIENCE: Coe College (B.A. ); Inter-American University of Puerto Rico (J.D. ); Member of the Puerto Rico Bar Association; Member of the American Bar Association and The Federal Bar Association, Puerto Rico Chapter. PRACTICE AREAS: General Administrative Law; Construction Law; Equine Law; Torts; Mortgage Law and Mortgage Foreclosures; Labor Law; General Civil Practice and Litigation; Civil Rights Litigation; Counsel for The Puerto Rico Horse Owners Association; Lecturer; Construction Law Seminars; Foreclosures and Notary Public. Eduardo was born in Hato Rey, Puerto Rico. Since childhood, he has been connected to the Thoroughbred industry. First, through his grandfather, Dr. Eduardo Maldonado Sierra who established a small farm in Kentucky called Bonnie Braes Farm. Dr. Maldonado also began breeding horses in the small town of Coamo, PR through Coamo Springs Stud, where Potrero Los Llanos stands. His father, Danny Maldonado has been a breeder for 47 years, with many Champion horses to his credit. For the past 30 years, Eduardo has served as Vice President of Potrero Los Llanos, one of the most prestigious breeding operations on the island of Puerto Rico. He has served as both Executive Director and President of the Puerto Rico Breeders Association. 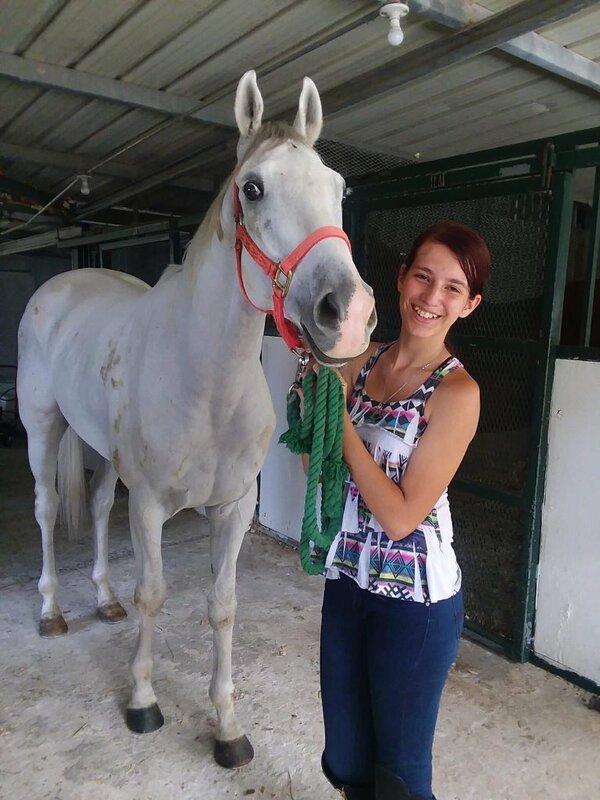 He has been a member of many equine groups and boards, and remains a devoted defender of the native-bred horse industry on the island.…..
Ariana is a 17-year-old High School student born in Fajardo, PR. She grew up riding and caring for horses. She plans to study Veterinary Medicine at University. She has been volunteering at CTA for 1 year and her compassion, experitise, and skills have been a great asset to the CTA and all the horses! Rocio is 19-years-old native of San Juan. Her current focus of study is the livestock industry. She plans to become a Veterinary Assistant so she work full-time with horses. Rocio has volunteered with CTA for nearly 1 year, bringing her passion and skills to help the horses of CTA transition into their second careers!